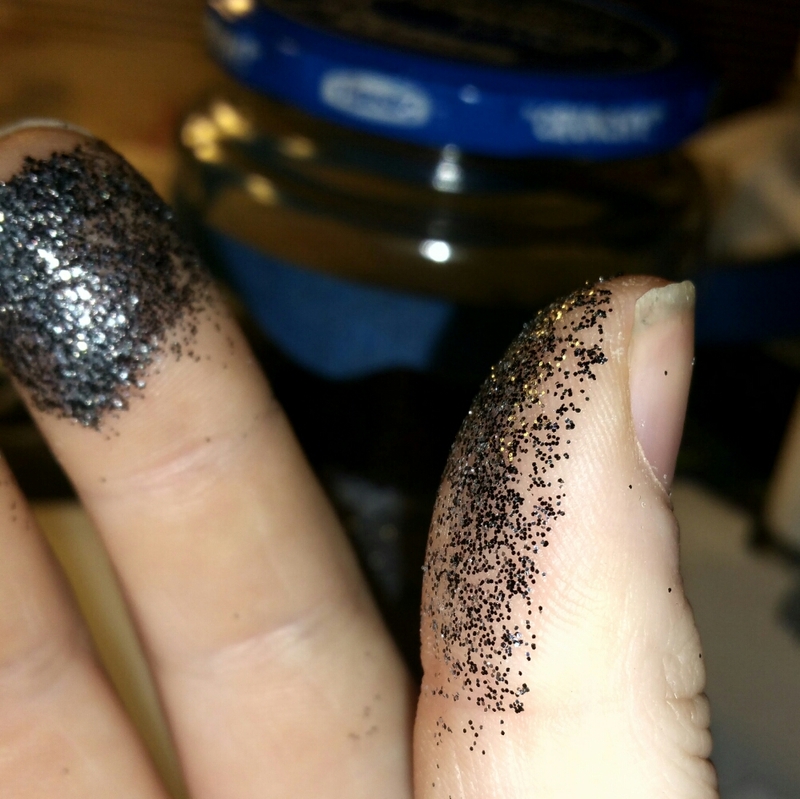 Prepare the glitter mixes before getting out the decoupage. Mix intermediate colors in a 1:1 ratio to make the transition between the solid colors smooth. 1•black 2•black/silver mix 3•silver 4•silver/white mix 5•white 6•iridescent clear. Tape off the edges of the design area with painters tape. Pounce the decoupage on to the glass where the first color and overlapping half of the second colors desired space. 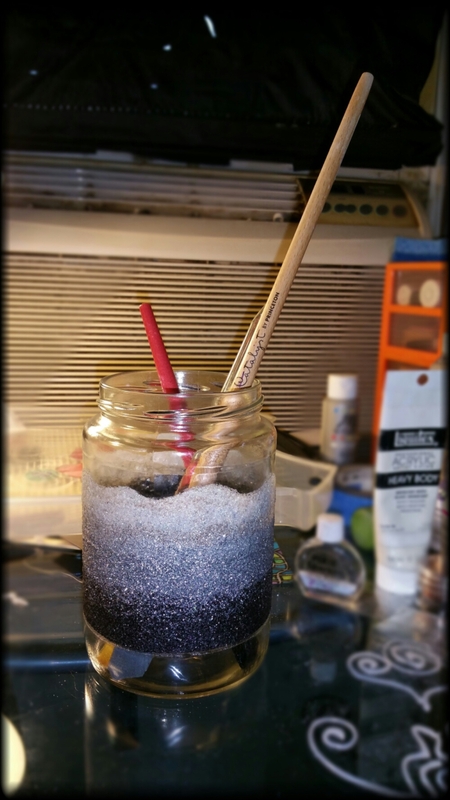 Pour first color onto the wet decoupage while turning the jar slowly. Pounce more decoupage overlapping the first color and then pour the second color on while turning. Repeat the process for each subsequent color. 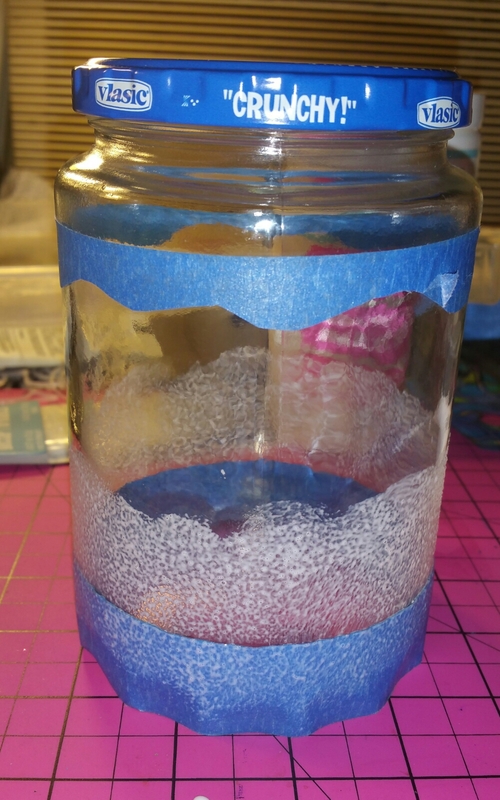 Don't stick your fingers onto the wet jar. After doing so by accident I tapped all around the circumference so it would at least look even. 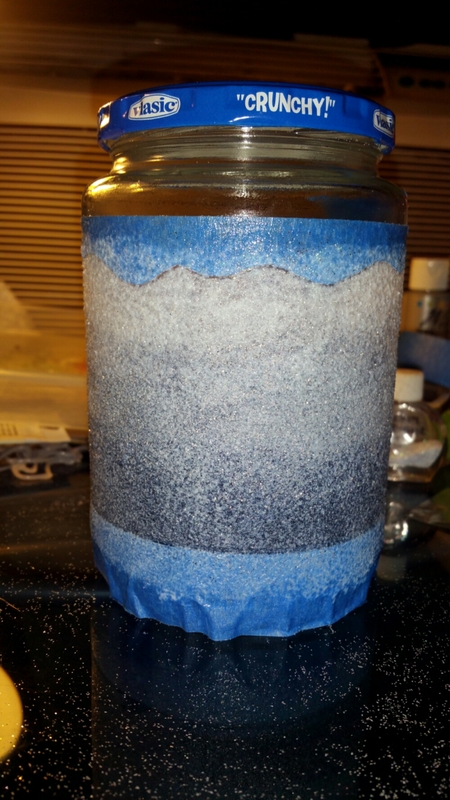 Picture of overlapping layer of fresh decoupage for the next color. 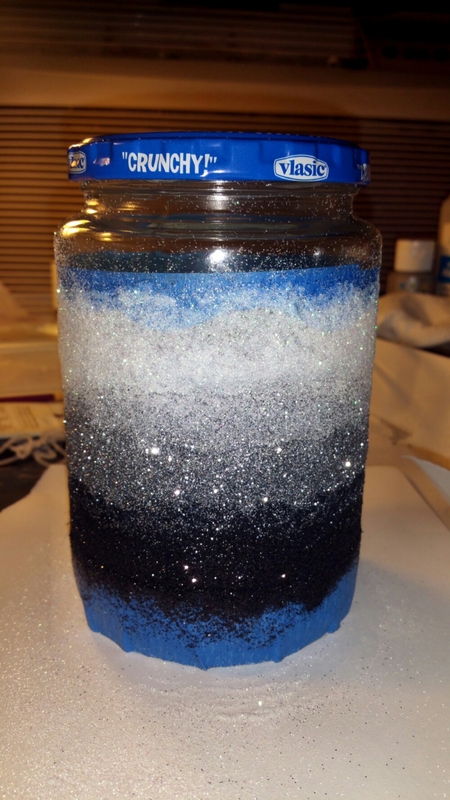 Inspect the jar for any spots that may need more glitter before removing the tape. 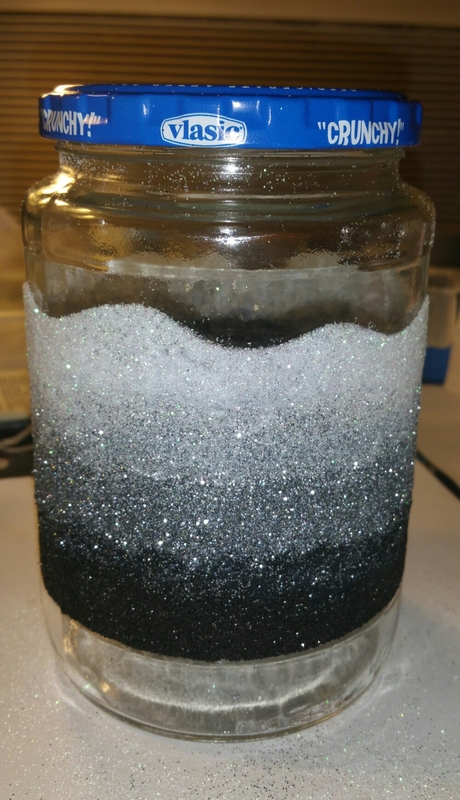 After the glitter is all applied, set it aside overnight. Tape an area slightly larger than the glitter coverage. If any of the tape lines are unique it is a good idea to save the tape from the original application and apply it as seen in this photo. 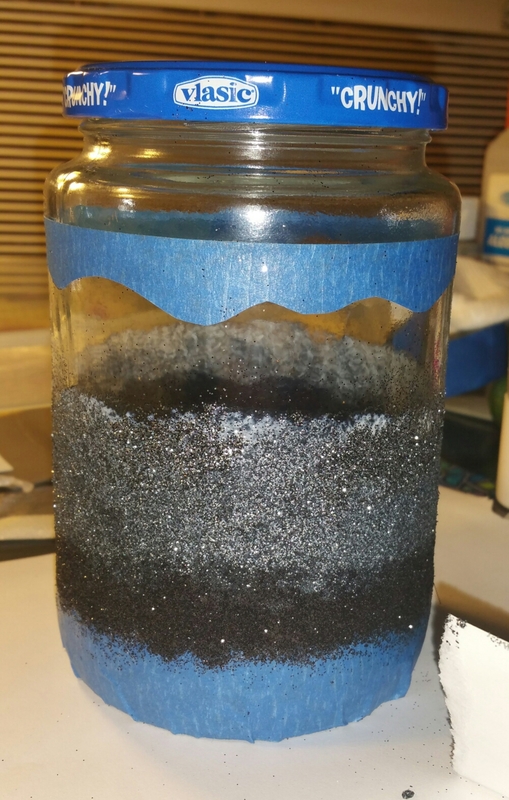 The jar was left to dry overnight. The clear coating area has been taped off. 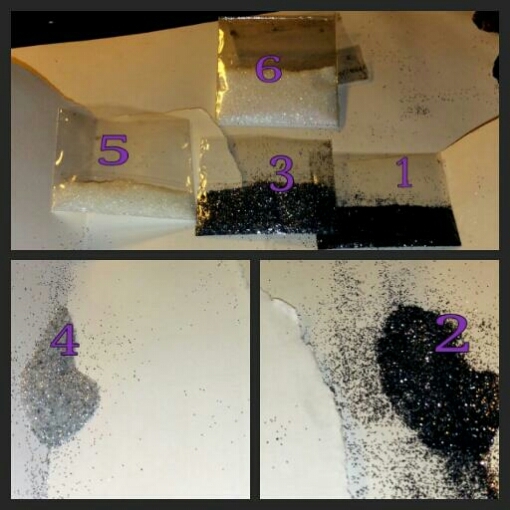 Now add thin layers of decoupage over the dried glitter to completely seal in the shiny. 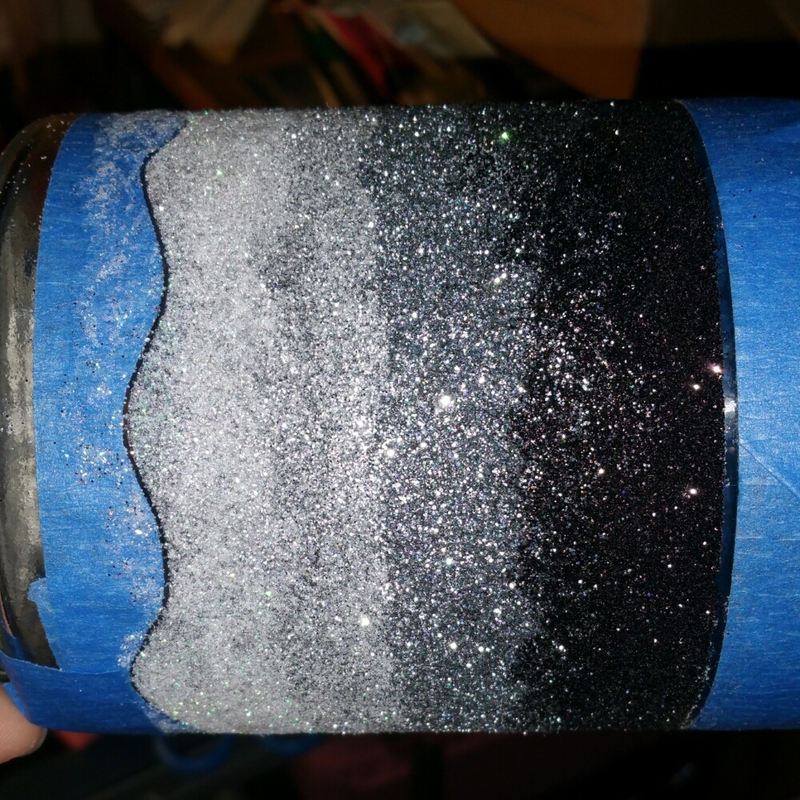 A sponge dauber may be preferablr to a brush to create a thin and even layer without pushing laterally on the glitter below. Allow 1-2 hours between layers of clear. There are three clear coat layers on this object. e off the tape and clean up any messy edges with a paper towel. Now set aside to cure. The decoupage is milky white while wet but should dry clear. 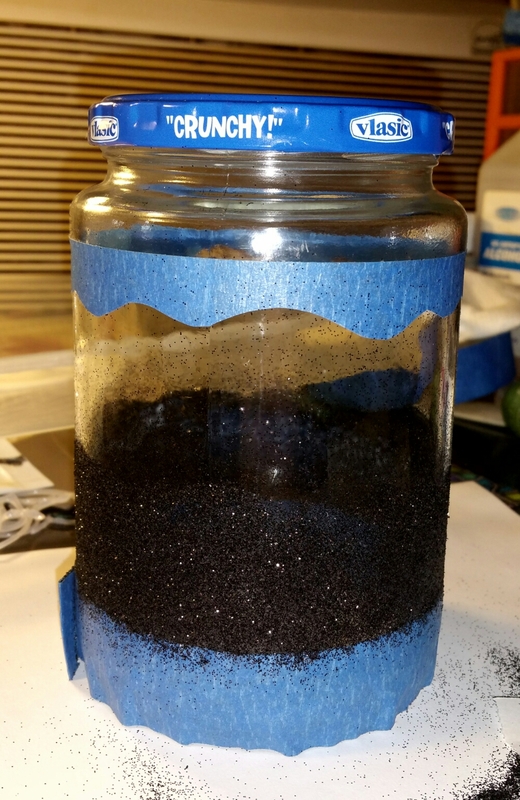 In 48 hours it should be ready for the intended use as a paint water tub. After curing 28 days the finish will be top rack dishwasher safe. 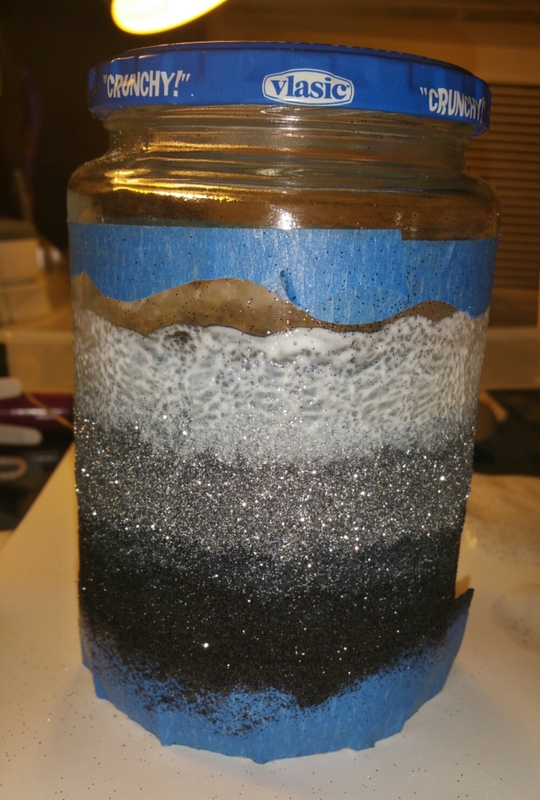 The glittery finish has been drying for two days. It feels hard as the glass itself. I will certainly be glittering many more things in my life now that I have practiced on this. If I did this over I would only change two things. First I would make sure I had plenty of glitter. There was enough but I doubted if their would be a few times during the process. I believe I would have been able to achieve more even coverage if there was more. Second I would be more gentle with the sponge dauber when applying the clear layers. 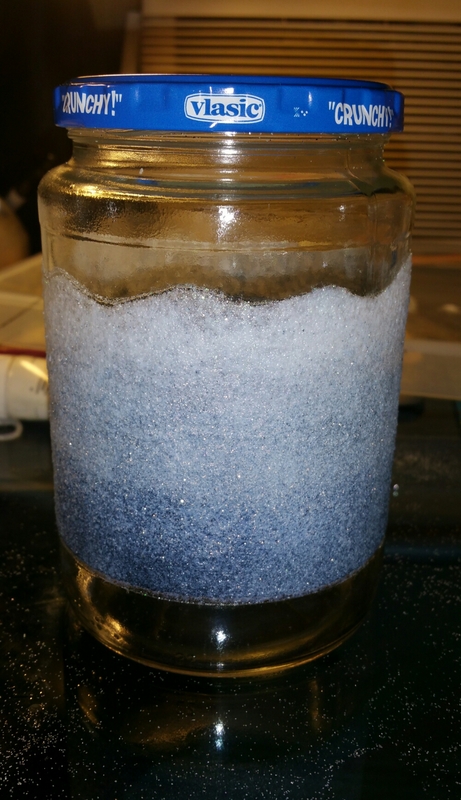 I trapped some tiny bubbles. Perhaps I would only do two layers of clear and use a brush for the second layer. Other than that, I am looking forward to more decoupage adventures. Do you decoupage? I would love to hear about your experiences with it below in the comments.